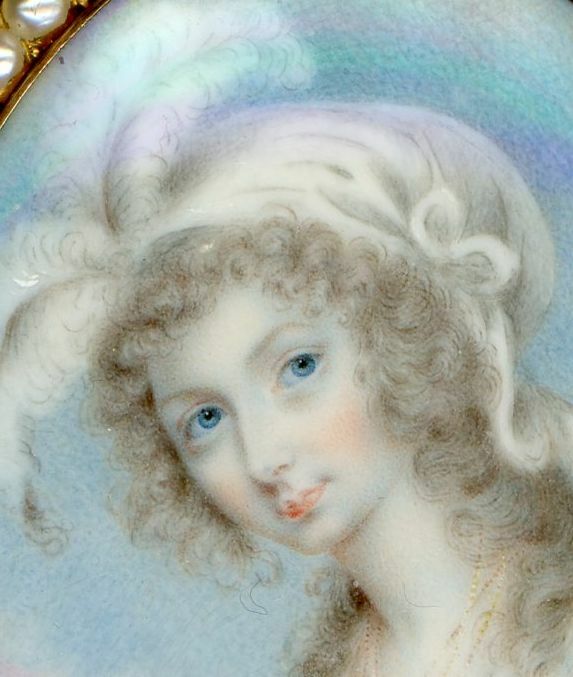 Painted around 1785, this attractive portrait shows a young lady with blue eyes and a gentle demeanour set against a blue cloudy sky background. She is wearing a décolleté white gown trimmed on the sleeves with blue ribbon and fastened at the waist with a matching sash decorated with a rosette. 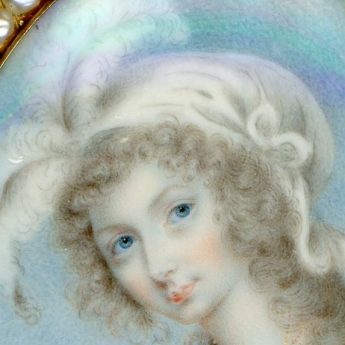 She wears three gold necklaces of differing lengths and her long lightly powdered curls are topped with a striking turban style hat topped with white ostrich feathers. The sitter is understood to be Penelope Biddulph. 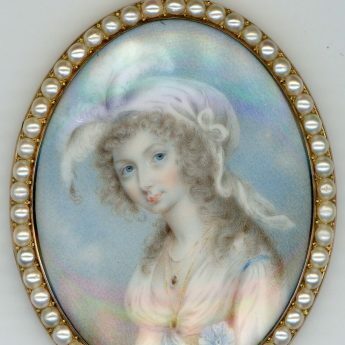 Born in 1768, she was the eldest of three daughters born to Michael and Penelope Biddulph of Ledbury. 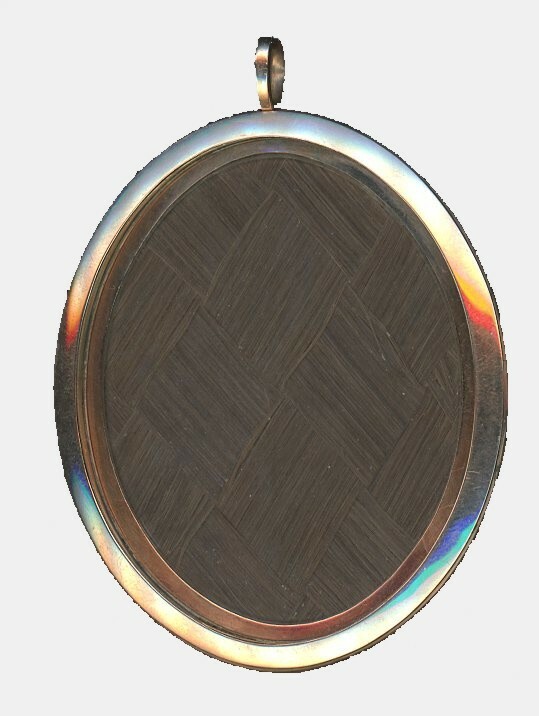 It appears that Skirving painted portraits of all three sisters; the portrait of Mary Ann (b. 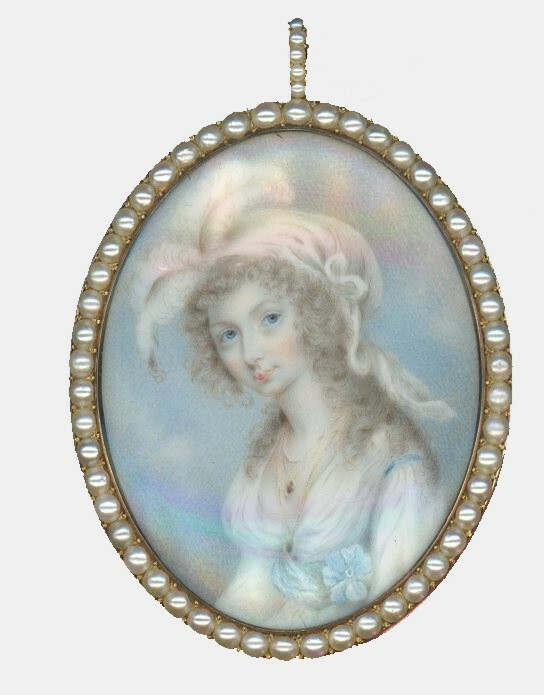 1769) is illustrated in Miniatures: Dictionary and Guide (Foskett 1987, p. 340) whilst the portrait of Anne (b.1772) was sold at Christies in 1998 (Robert Baden-Powell collection). 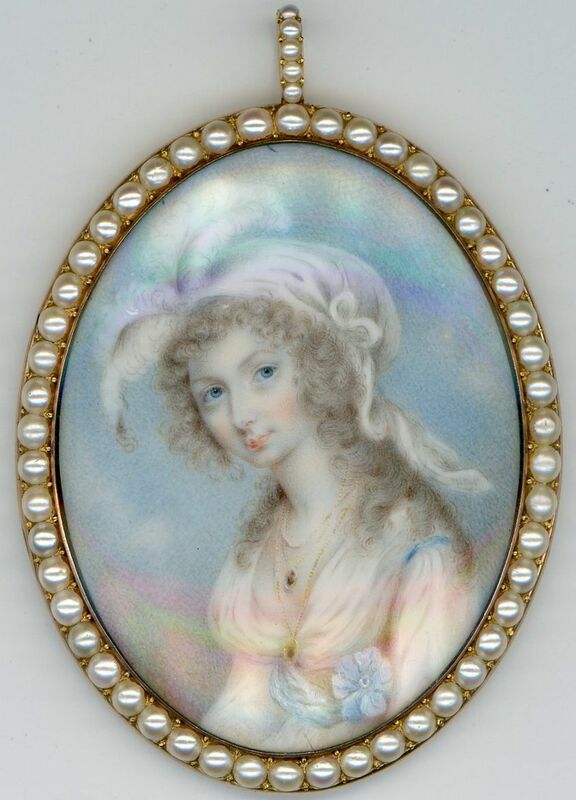 A further signed miniature in the V&A Museum of an unknown lady bearing a family resemblance may indeed be a portrait of the girls’ mother, Penelope Biddulph (née Dandridge). 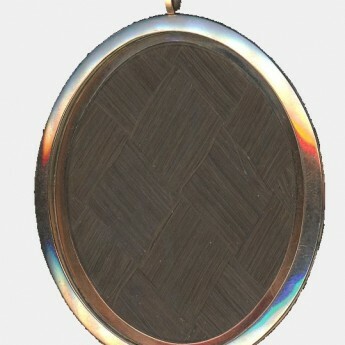 The portrait is presented in an attractive gold frame with a pearl border and hanger, the reverse hinged and glazed to reveal plaited hair. Excellent condition.